Bunnies sometimes perplex their new owners by sitting quietly, passively one moment and then chewing holes in the wall-to-wall carpeting a few seconds later. These intriguing creatures also have a knack for creative carpentry and will sometimes shave off the bottom corners of your home’s woodwork with their teeth. Your new furry friend may nip your ankles or bite your hand affectionately. He or she may even grab a magazine or book out of your hand and bite off the edges as a part of the normal daily routine. However, once you and your new hare get fully acquainted and understand one another, you will agree that bunnies can be extremely warm and endearing home companions. First of all, to be the happy owner of a home that includes a hare as part of the household, you must be patient and have a hearty sense of humor. In general, it is helpful to bonding if you are not overly upset when home furnishings or personal effects are chewed or damaged. 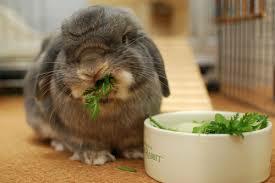 However, the key is to hare-proof your home before adopting. Once you have done this, even if your hare does occasionally bite off the ends of the curtains or gnaw holes in your couch cushions, you will be able to laugh at these mishaps as minor inconveniences. To truly enjoy the benefits of having a hare in the home, you need a daily schedule that allows you to spend much of your time at home. The alternative, of course, is to have another family member or housekeeper in your home while you are away. One important requirement for having a contented animal at home is learning to spend a great deal of time on the floor interacting with your furry friend. The best hare owners are willing to learn a new code of response, body language and communication. 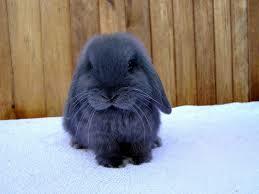 They are also people who have strong respect for their bunnies as well as great affection. Once you get to know and understand your home bunny, you will realize that if your animal attempts to chew through the telephone cord while you are making a phone call, he or she is not objecting to your call or even trying to distract you. You have just drawn your animal’s attentions to an interesting object for exploration and possible alterations. Bunnies can be quite cuddly and affectionate at times, and when sitting quietly, they like to have their fur stroked. They usually relate well to children as long as each child shows respect for them, and they are calmer when spayed. The House Rabbit Society focuses on educating all potential hare owners to understand that bunnies are not “pets” in the traditional sense. Although hares can be trained to some extent, owners must accept bunnies as equal inhabitants of the home environment, respecting temperament and behavioral differences between them and humans. Bunnies often like to be nearby when you or other members of your family are engaged in activities at home. During quiet times, your furry friend will enjoy sitting close beside you while you read, watch television or spend time on your computer. When a baby or children play games on the floor, bunnies like to be close by, either resting peacefully or moving around the playing area and bonding. Bunnies are very beautiful animals, and they also can be quite inspiring to humans because of their need to be busy with an activity or project during their waking hours. When you recognize this need and give your bunnies a constant supply of working materials like chewable and moveable items, they will be happy. The best working supplies for hares are wooden items, old towels or rugs, cardboard, pine cones, twigs and straw. Both human beings and bunnies need their own space. Just as you need your own room or area for time to yourself, so does your hare. Bunnies need cages or enclosed space for resting and sleeping. It is also helpful to allow them a designated running space indoors. Hares in the home should never be treated harshly even if they have damaged major home furnishings. 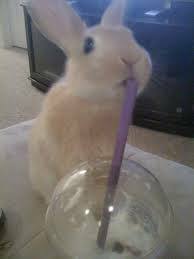 Be aware that bunnies may retaliate with harsh behavior like biting or additional destructiveness if treated harshly. Bunnies can be wonderful companions in the home. The majority of hare owners report that, with proper owner education, home bunnies will become enlightening, inspiring and affectionate members of the household especially when neutered. If you are considering adopting a house bunny, be prepared and open to accepting your furry friend’s natural habits, temperament, behaviors and needs. How can parents teach a baby aged 6 to 12 months or a toddler to behave safely around a new house bunny?